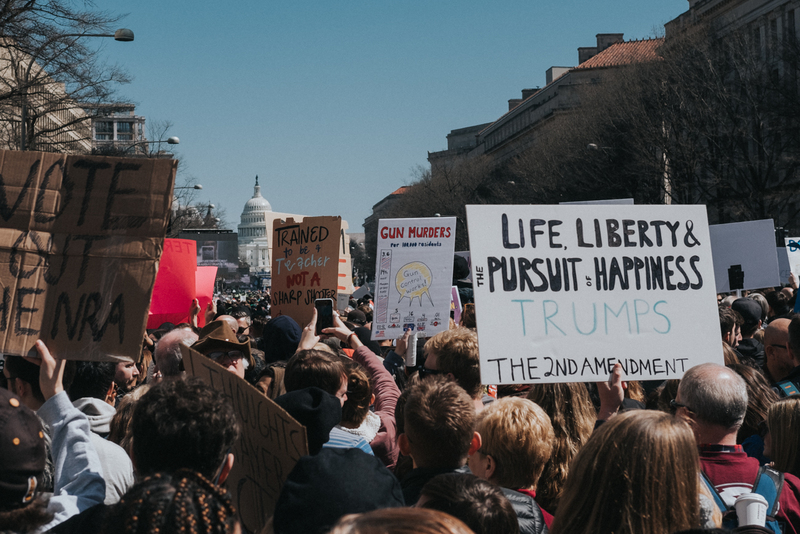 This is part one of our series on the March for Our Lives. Stay tuned for part two. 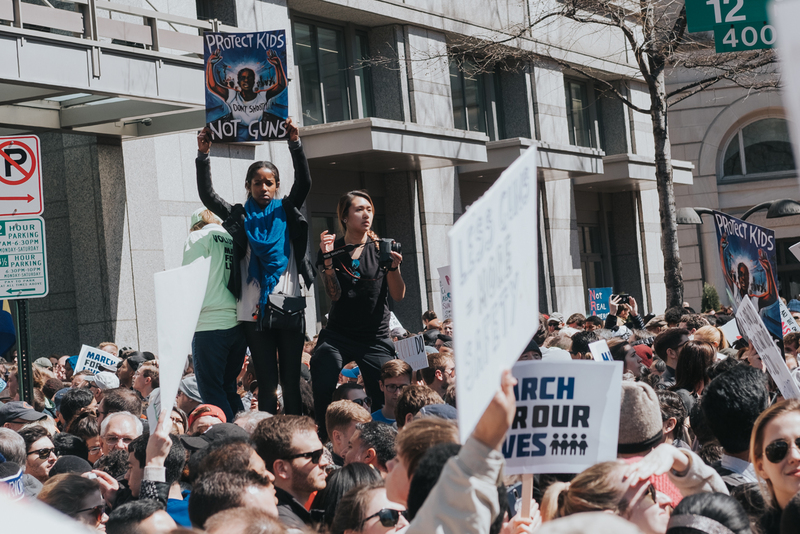 This weekend, more than 500,000 people mobilized in Washington, D.C., to attend the March for Our Lives. 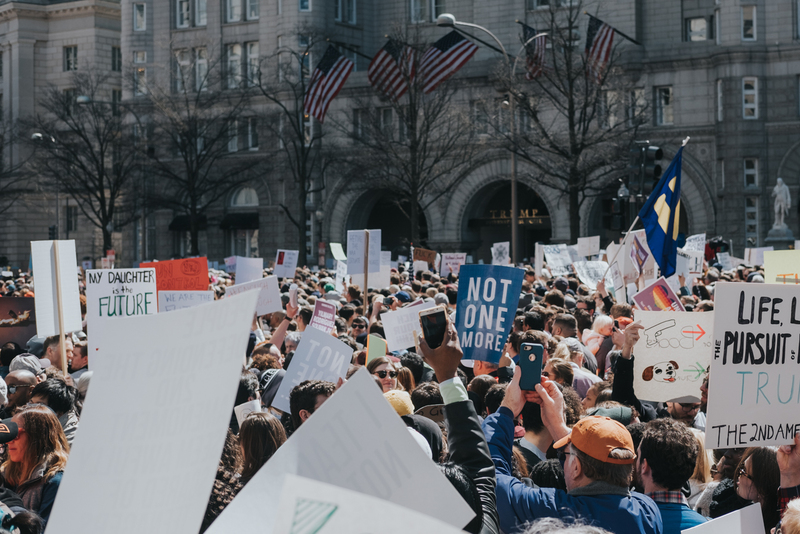 They called upon Congress to take action and pass “a comprehensive and effective bill” to address gun safety. Led by students demanding change, this was the culmination of weeks of engagement, organization, and activism. Outside of Washington, 752 marches around the nation hosted 1.7 million people. Beyond the United States, 104 marches took place around the world. I joined with a group of friends covering a wide swath of the political compass, but brought together by the desire for common sense gun laws. Getting to the event was a march in itself. 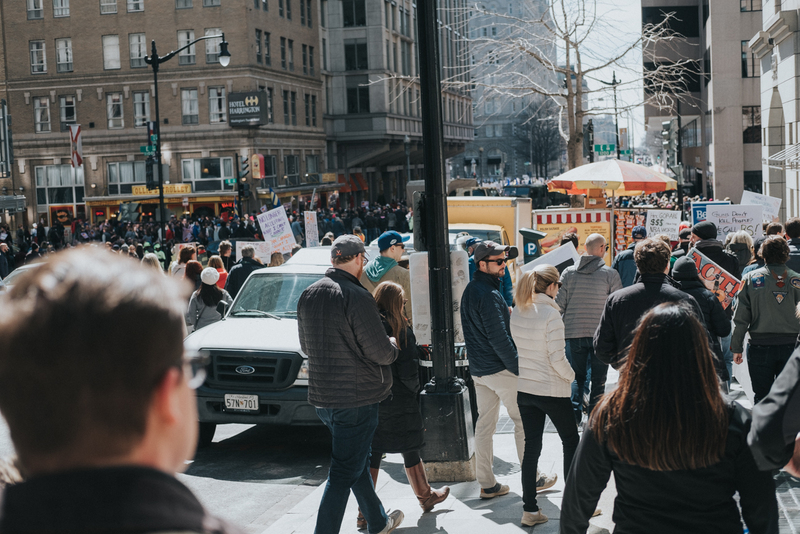 The moment we stepped into the daylight, we saw dozens of people on the sidewalks, signs in-hand, surging toward Pennsylvania Avenue. In the streets, cars pulled over to the roadsides with passengers jumping out to make the rest of the trek on foot. Around 12:00 p.m., the slated start time, we arrived at our destination. The streams of walkers flowed into an ocean of a people, each person advancing forward when there was space to do so. Slowly, but surely, my friends and I were in the thick of it. On 12th and Pennsylvania, we were nowhere near the stage and no screen was in sight. Yet gleaming at the top of a street pole, a tall bank of speakers told us all we needed to hear. The program had already begun, with Andra Day and the Baltimore Choir welcoming the vast assembly of marchers with her song “Rise Up.” Soon after, the voices of the students leading the March boomed over the crowd. Not a single speaker was over the age of 21, but each delivered a powerful speech to grand applause. Surrounded on all sides with little room to maneuver, we were near the back of the march, by the Trump International Hotel. Whether the building wanted to be part of the event or not, advocates recorded its presence in thousands of Instagram shots. Inching closer to the center of the center of the street, I was able to catch a glimpse of a large screen and the glowing white dome of the Capitol building. My short stature meant I could only see the screen about 40 percent of the time. Around me, parents hoisted children onto their shoulders so that they could get a better view. “So many people!” yelled a five-year-old. She later cheered, “I’m from there, too!” when 16-year-old Mya Middleton, from Chicago, took the stage. And so, the crowd roared. The rearguard of any march tends to have its own atmosphere, one similar to but separate from that at the front. Here, at the back of it all, the theme was allyship–loosely defined as taking action to stand in solidarity with others through the constant reexamination of privilege, the recognition of marginalized groups, the commitment to listening, and the ability to put personal needs aside for others. 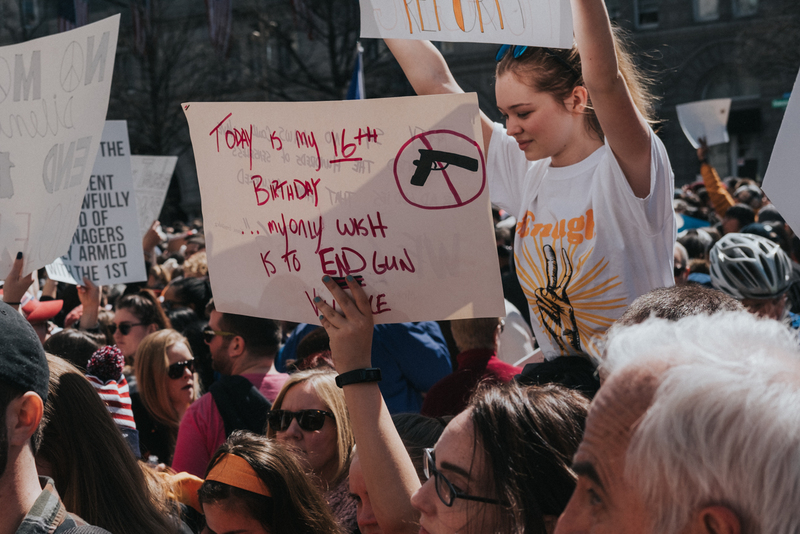 From those adults boosting kids up to see above the crowd to those holding signs advocating for a safer world for children, this was the gathering space for allies. 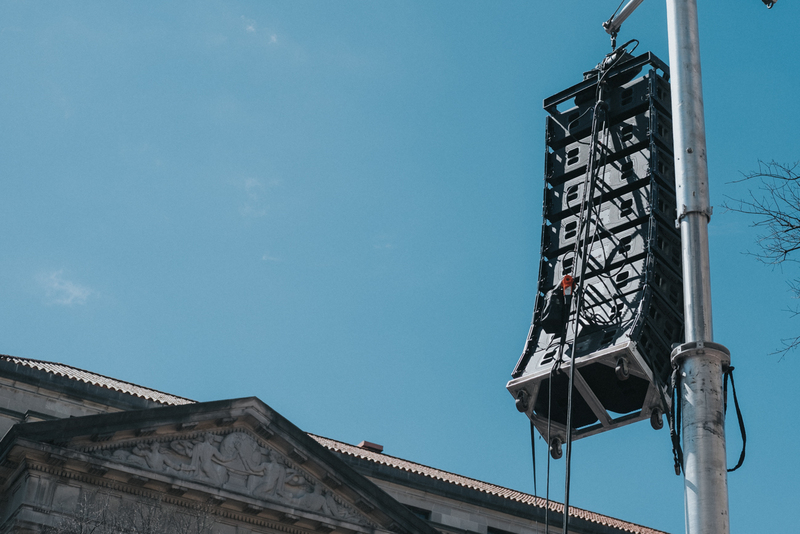 While screens and speakers held the audience’s attention, independent chants and cheers reverberated through the crowd, sometimes overpowering the humble sound system. During one pause in the chatter, the speaker bank echoed, “And it feels great!” Far ahead, the crowd began to clap wildly. “Wait, I missed something. What’d she say?” said a person to my left. Onstage, the young woman at the podium, Parkland survivor Sam Fuentes, had just vomited on international television. It was moment of unplanned catharsis that everyone needed. Instead of covering it up, she embraced it. That’s leadership. Later, there was silence. While it took longer for this back area of the march to comprehend it, Emma Gonzalez delivered a long, abrupt, and powerful moment of silence during her time onstage—silence that gave her audience time to reflect on why we were here and what we could do to bring about the change that these kids envision. The historic march is over. A historic fight to protect our children and fellow citizens is here. 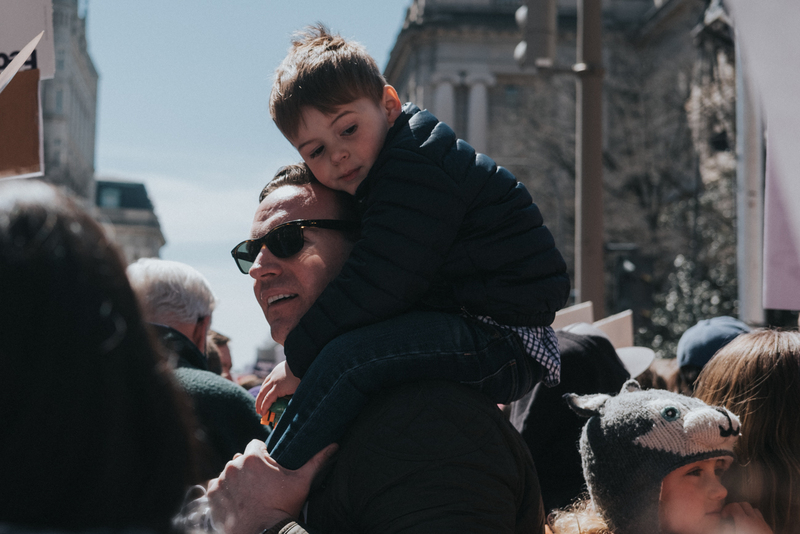 While Congress was well away on recess during the march itself, they will continue to see this intersectional movement grow as kids lead from the front and their allies–adults–support from the back. Raise a glass to all of us. Tomorrow there’ll be more of us.